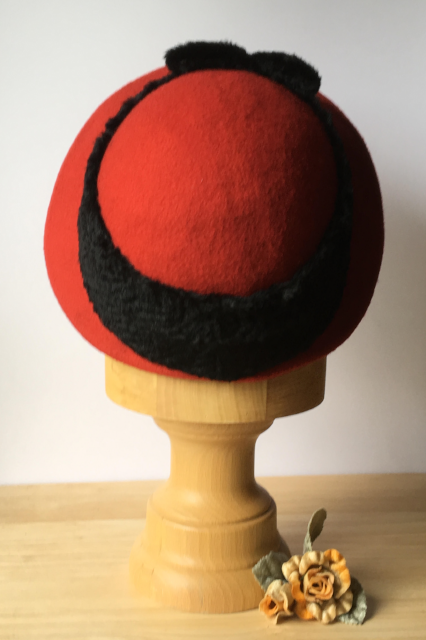 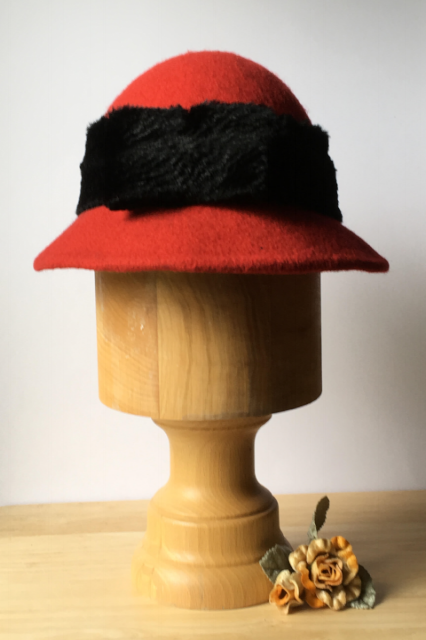 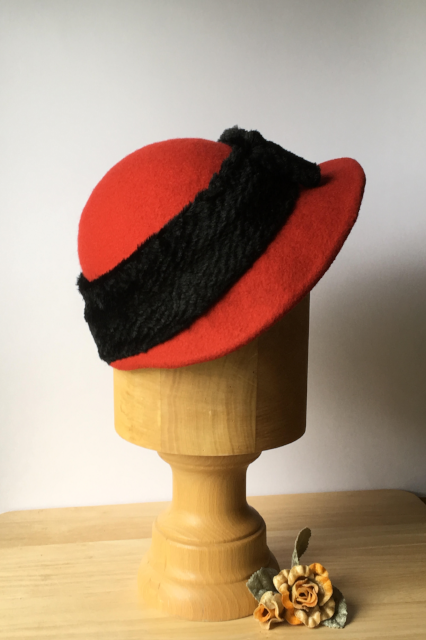 Late 30’s early 40’s style red felt half bonnet hat. 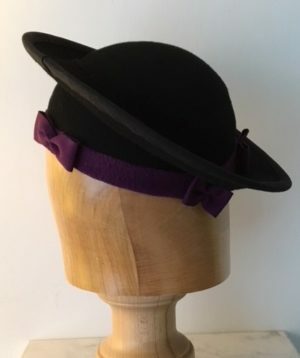 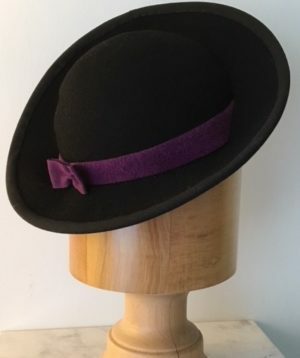 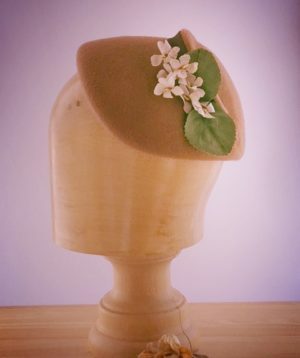 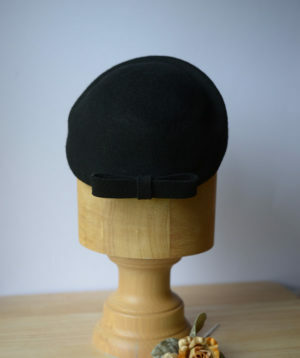 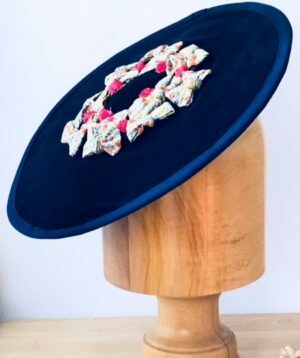 This hat is a copy of an original I have but I have shortened the front of the brim by half an inch. 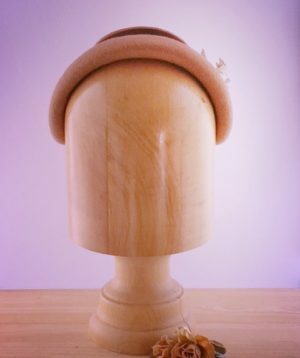 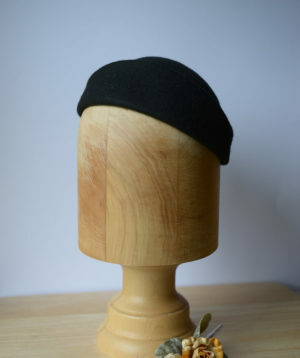 It has a fake fur hat band and flattened bow to slight right of forehead. 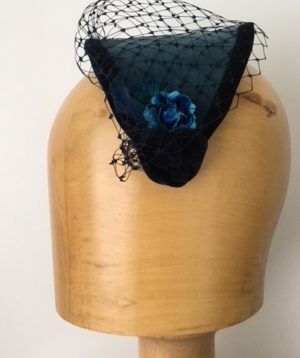 Hat is lined with Paris Net for stiffening, a black hat liner and sweat band.